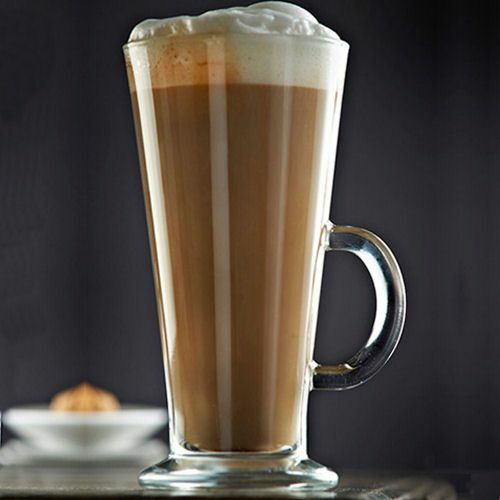 The classic style Boston latte glasses are the perfect way to serve up a freshly made caffè latte. Finished with a footed base and handle for protection from the heat, these practical and contemporary style glasses are perfect for use at home or in your café. 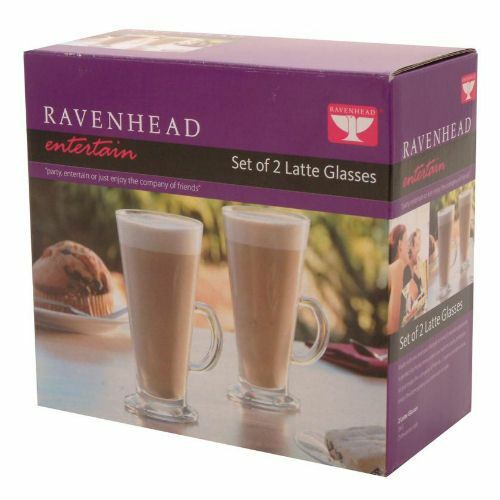 Suitable for a variety of hot beverages, these latte glasses are ideal for serving up hot chocolates, mochas, mulled wine and more. 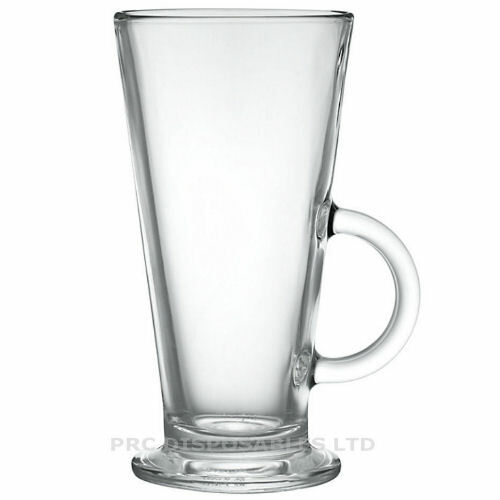 Before use, and to ensure the longevity of your Latte Glasses, please warm the glass by running it under warm water.